The partnership leverages SFA’s background in planning and financing a wide array of sport and recreation centers. SFA has overseen the planning and financing for a portfolio of more than $5 billion in sporting centers around the world. USRowing and RowAmerica will provide rowing-specific expertise and ensure that new centers are developed to meet the standards set forth by USRowing. The Sports Facilities Advisory mission is to dramatically improve the health and economic vitality of communities. SFA’s clients range from private developers and clubs, to local and national governments. 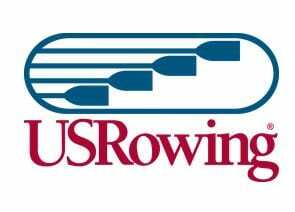 USRowing is a non-profit membership organization recognized by the United States Olympic Committee as the national governing body for the sport of rowing in the United States. USRowing selects, trains, and manages the teams that represent the U.S. in international competition, including the world championships, Pan American Games, Olympic Games and Paralympic Games. More than 85,000 individuals and 1,300 organizations strong, USRowing serves and promotes the sport on all levels of competition. Its membership base represents the full spectrum of American rowers—juniors, collegians, masters, and those who row for recreation, competition, or fitness. Founded in 2003, RowAmerica was formed in order to better serve, support, promote, and expand the sport of rowing. Through its businesses and organizations, RowAmerica provides a fully integrated model to service the needs of rowers and the rowing community. RowAmerica owns and operates RowAmerica Boat Clubs in multiple locations (Saugatuck Rowing Club, RowAmerica Rye, RowAmerica Hamilton, RowAmerica Manchester, RowAmerica St. Charles, RowAmerica Greenwich, and RowAmerica North Little Rock, with four new sites planned for 2016). In addition, it distributes and provides boats for sale and lease under the Wintech Racing and King Racing brands, provides repair services for boats of any make and model under the RowAmerica Boat Repair division, and designs and builds rowing docks and racks under its RowAmerica Manufacturing division. The organization also provides rowing clothing, merchandise, and tools for the rowing community through its Scull & Sweep e-commerce platform. Howard Winklevoss, founder of RowAmerica, is supportive of the potential for SFA to change the landscape of rowing in the United States.